Having some hidden cameras that are monitoring the main important access area is always a good thing. I don’t like wires and that’s why a wi-fi light bulb camera is just perfect. 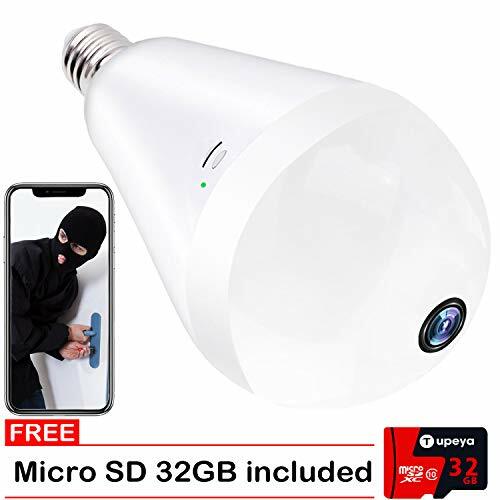 There are some interesting alternatives for Hidden WiFi Light Bulb Cameras that can help with monitoring of your home. In this article, I will present a top with the best Hidden WiFi Light Bulb Cameras that you can have. I will first start with the most important aspects that need to be taken into consideration when buying a Hidden WiFi Light Bulb so you can be able to choose the best one for your needs. Below are some of the most important aspects that a WiFi Light Bulb Camera needs to have. Some of them can have all of them and some apart. In function of what is needed, you can choose the one which is best for you. A higher resolution means that the image is better, most of them are coming in HD and the best resolution would be 1080P. You would want a camera to have night mode so you can see also on the dark. Without a night mode, a security camera will be pretty useless. The light power is not the main thing you are buying a WiFi Light Bulb Camera for but you have to think that you are replacing an actual light bulb and you may need also light where you are planning to place it. You may want that the videos to remain in an SD card and it may be useful that the light bulb to have this function. I am not planning to throw any parties with it but there may be a situation where you would want to listen to what is happening or the video to have also the sound recorded. Also having a small speaker it means that you can send sounds and in this way scare the burglar 🙂 or send a message. Maybe you put it outside and you have pets. This can be a useful feature. You would want a motion sensor and have notifications on your phone in case something happens. In this way the recording will only happen when motion is sensed. 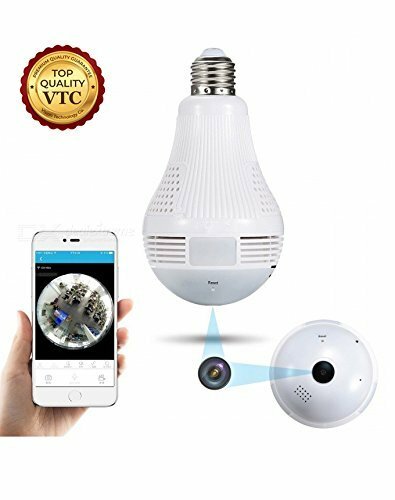 These are some of the most important things that need to be checked when choosing the perfect WiFi Light Bulb Camera, below we will get in more details on the products and how they are meeting these standards as well as the price. Also below you have a demo video with a WiFi Light Bulb to see how exactly is doing. 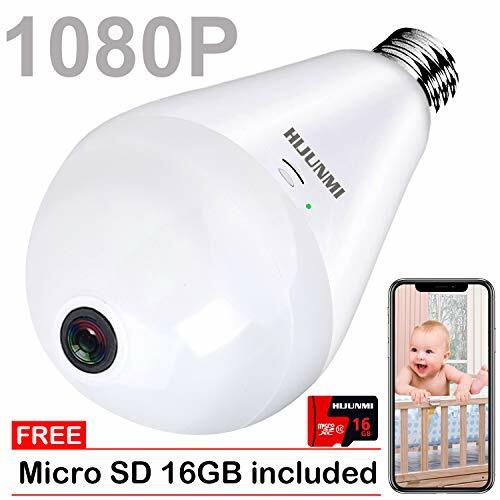 HIJUNMI WiFi has a 1080P HD Wide 360 Degree lens viewing angle that comes with a motion sensor that will alert you on the app. the security camera is that when it detects motion, it only records to the cloud or SD card for about 30 seconds regardless of how long the activity is going on in front of the motion detector. TUPEYA like the previous one it is offering the same functionalities, you have a 1080p clear image with night mode and app notifications when there is movement. Unfortunately is not having any mic or speaker incorporated. The reviews are very positive as it is capable to offer crystal clear images and has zoom features. Quanmin it is coming with a lower resolution of 960P but it has a build in mic and speaker in comparison with the first. The image will not be that good but in case you need the mic and speaker function you can try this one. the light needs to be on in order to work and is not having any night mode. 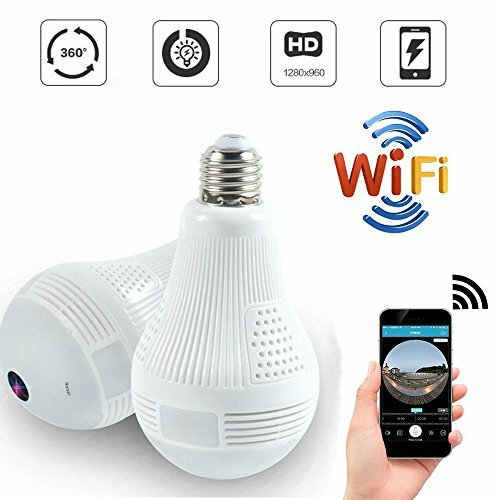 These are some of the best WiFi Light Bulb Cameras that currently exists, there are also some other models out there but are doing the same things and are working worse than this ones. Hope you can find the one you like and in case you have more options with better ones just drop a comment.